A resident has expressed the following concern about a proposed Optus Mobile Phone Tower on Chatswood Golf Course. “This is a big deal for our West Ward area and very contentious! We received a letter on Saturday in regards to a proposed installation of a mobile phone tower at the back of our property on Chatswood Golf Course. I have attached a copy of the letter we received. 1. The land we live on (21 Colwell Crescent) is zoned as 2A Scenic Protection and E4 Environmental Living which suggests to me that this tower does not really fit in with this! 2. We believe that this is a purely revenue raising stunt by the Chatswood Golf Club committee. Our understand is that the Golf Course is in financial trouble and will receive quite a hefty check for use of their land. We are Optus customers for home phone, internet and mobile and have never had a problem with reception. 3. There is a meeting to be held on Thursday 29 January 4 to 6 pm at Chatswood Golf Course to discuss the proposal”. A representative of Chatswood Golf Club has indicated that the proposal did not start with them, but Optus. They also stated that they had suggested less intrusive sites but Optus was not prepared to consider them due to addition costs. 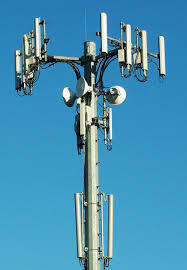 Under Federal Telecommunication Legislation Optus has wide ranging power over the installation of Mobile Phone Towers. So if i understand this argument correctly, a global organisation that turned a net profit of $3.65 billion is not willing to move their BASE STATION to a less intrusive position because that would be ‘too costly’. ..
A local resident commented: I urge all local residents to address the issue of Optus tower at Chatswood Golf Club before it is too late. Over 10 years ago Optus erected an ugly transmission box on a telegraph pole at the front of my house which is located in a designated heritage street west side Chatswood. The box Buzzes 24/7 !!! No advance notice or consultation was ever provided by Optus or Council.